Adding a lighting system to your home is a step taken by those who want convenience, efficiency, and the wow factor. Lighting Control systems employ banks of centrally located switches that can be time controlled, group controlled, timed for scheduled events, and intelligently detect if part of your home is occupied or not turning off groups of lights as needed. Mobile app controlled systems for control of your home from anywhere. Efficiency. 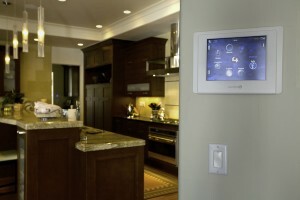 The cost savings from managing lighting in your home will pay for these systems in about 3 years. Electric use will drop significantly in most cases. Using automated dimmers, intelligent thermostats, and gas valve switches can further lower utility costs. gas light controlled valves for flame fountains, gas lamps, and gas fireplaces. Call us today to get your vision planned and executed by the professional installers at The Audio Video Guys.